Try something different for your Hen or Stag party by kicking off your weekend with a Segway Event! Includes FREE bubbly for post segway fun! We know how important having fun on your hen and stag weekend is so we've tailored an exciting action packed package which includes fast paced games as your group is split into teams! You will participate in games, whilst trying to ride on your Segway (guarenteed to be a laugh!). What's more, the Segway is for everybody so bring along your mums, dads, grandmas and grandads! Our fully qualified Segway instructors will give you a quick safety briefing and instruction on how to ride a segway then you are ready to mount the machine for action. 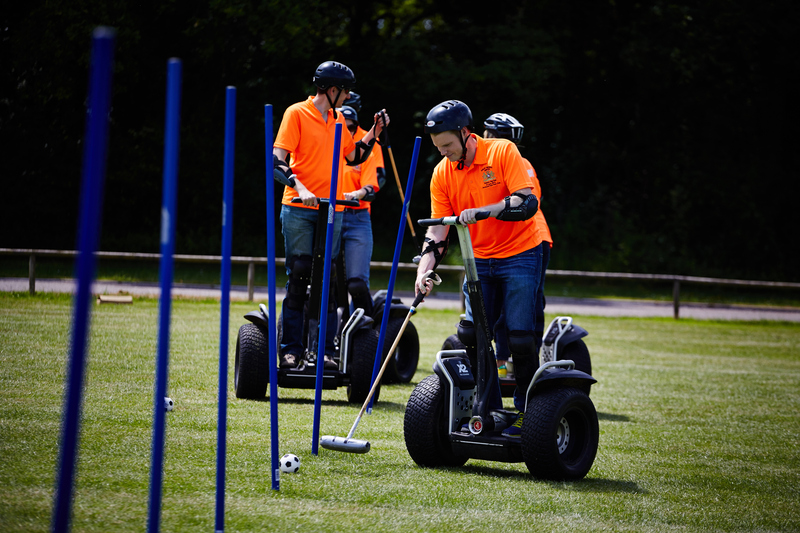 You will participate in Segway Frisbee, Segway obstacle courses, Segway relay and Segway polo! Why not add on catering? Most of our venues offer catering from snacks and refreshments to full dinners and buffets.